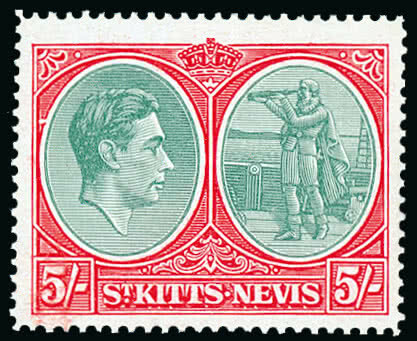 801 Saint Kitts-Nevis: 1938-50 perf. 14 5s. 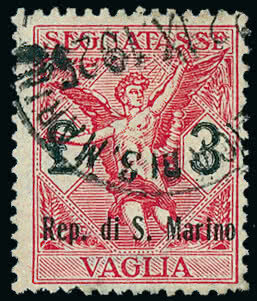 bluish green and scarlet with [R. 12/5] variety break in oval at foot, fine mint. S.G. 77bc. Photo. 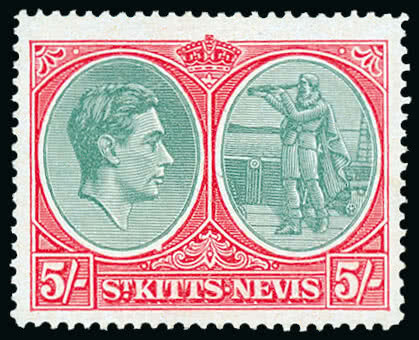 802 Saint Kitts-Nevis: 1938-50 perf. 14 5s. 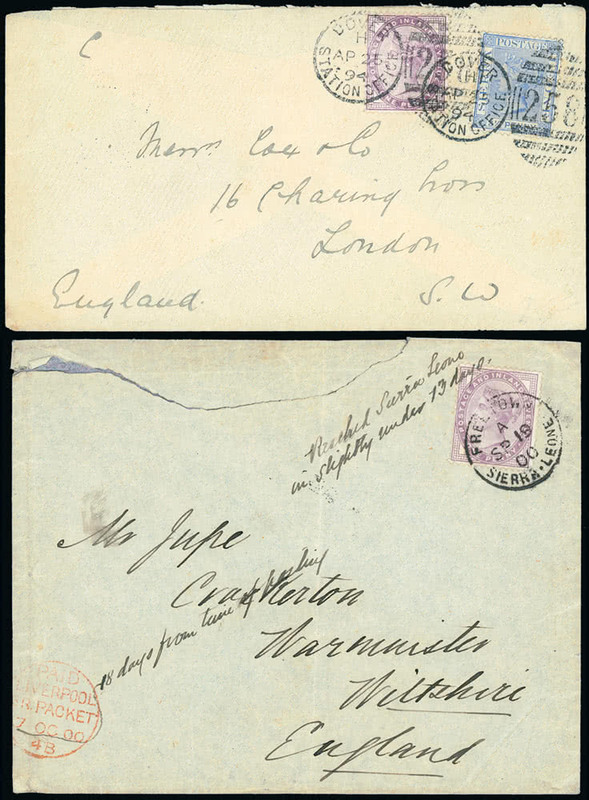 bluish green and scarlet with [R. 7/1] variety break in oval at left, fine mint. S.G. 77bd. Photo. 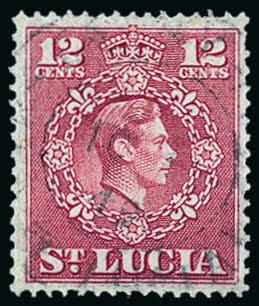 805 Saint Lucia: 1860 Watermark Small Star, (4d.) 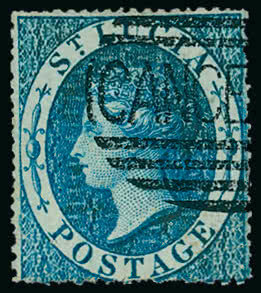 blue, cancelled by part strike of “CANCELLED” oval handstamp, position 5, fine and very rare. 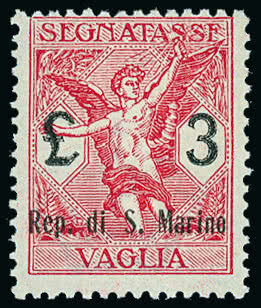 Only three examples recorded (one in the collection of H.M. The Queen). R.P.S. certificate (2013). S.G. 2, cat. £9,000. Photo. 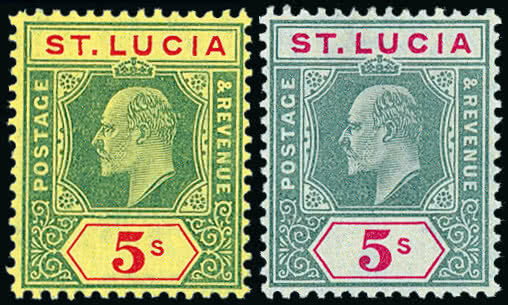 806 Saint Lucia: 1864-76 Watermark Crown CC, Perf. 121/2, (1d.) 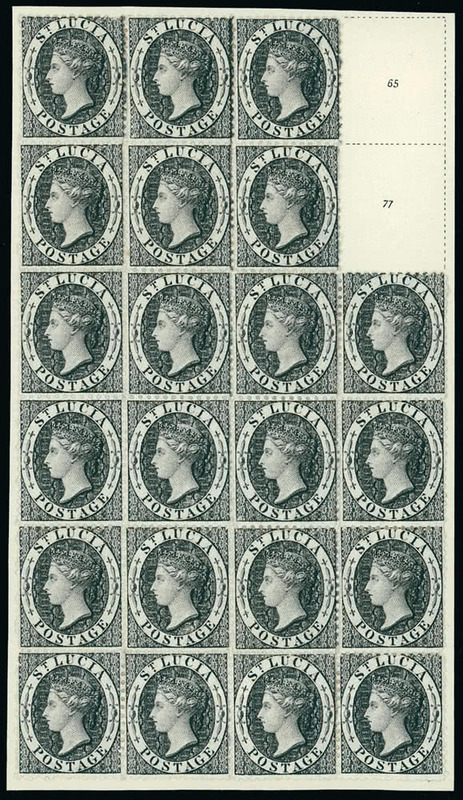 black mint block of 22, fine and fresh, scarce multiple. S.G. 11. Photo. 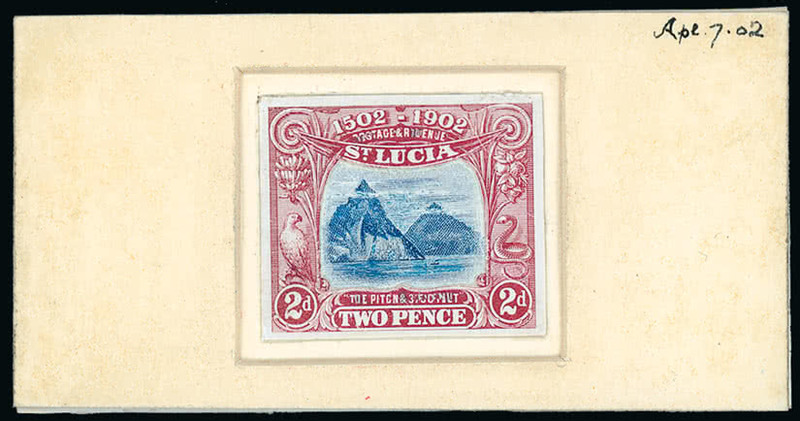 808 Saint Lucia: 1902 400th Anniversary of Discovery 2d. 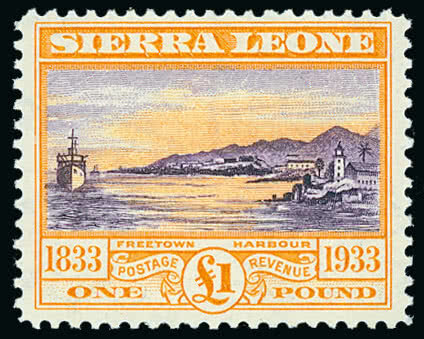 ‘Les Pitons’ original artist proof, enhanced with Chinese white, “POSTAGE & REVENUE” and “THE PITONS 3700 FEET” transposed, mounted on thick card with countersunk surround, dated “Apl. 7. 02” at upper right and manuscript on reverse “Clouds to be less hard + more fleecy in appearance”, unique and very attractive. Photo. 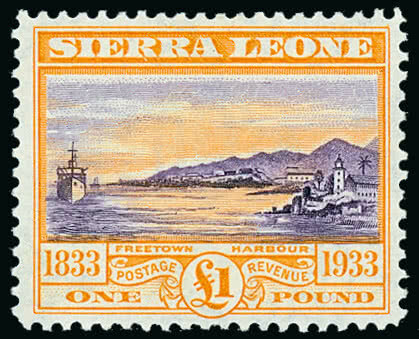 810 / Used / Saint Lucia: 1949-50 12c. 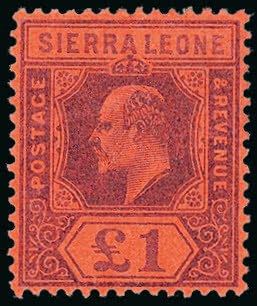 claret, the scarce perforation 141/2 x 14, fine used. S.G. 153a, cat. £550. Photo.